One of the most wonderful features of spring are the flowers. I absolutely love making images of flowers using the colors, shape, lines, etc. to create interpretations that delve in the abstract. Over the last 3 weeks I have been busy leading workshops and field sessions that introduce participants to this approach. A few years ago I realized it was rare for me to take a photograph of a single flower just by itself. I'm usually going in closer to abstract it or backing up to include multiple flowers. This just comes naturally to me. It's the way a see flowers. 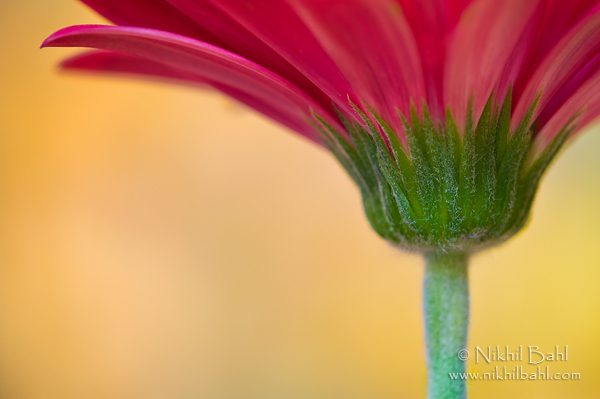 The following 2 photographs are from last weekends Macro Boot Camp. The workshop was attended by a enthusiastic group of photographers that were open to different ideas that I presented to them. The first evening they were challenged with a breeze and the next morning with rain. The third session was held indoors in a more controlled environment. They had the opportunity to photograph a variety of flowers in bloom at the beautiful Meadowlark Botanical Gardens in Vienna, VA. The following two image were the only photographs that I made during the workshop. The photograph above was created while demonstrating the use of shallow depth of field and picking a focal point for the image. This image was created indoors while demonstrating how to control backgrounds, finding a composition and deciding where to focus. 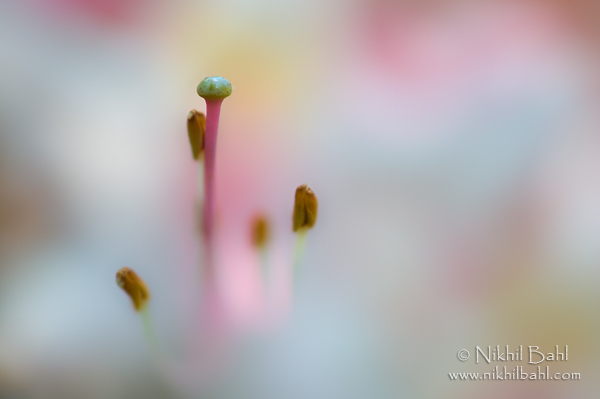 This weekend I have another flower photography field session that is sold out. It is the last of the spring series but I will be announcing a couple of more field sessions to photograph summer flowers. The Kenilworth Aquatic Gardens Field Session already has a few registrations. Next week I'm off to Florida to photograph a variety of avian species. I'll be doing some of my own photography before leading a workshop in Titusville and St. Augustine.